Are you experiencing weakness, numbness, nerve pain or tingling sensations in your hands or feet? If so, you may be suffering from a condition known as peripheral neuropathy. The peripheral nervous system sends messages between the brain, spinal cord and the rest of your body. Pressure on the nerves due to a subluxation can create neurological dysfunction and trigger your pain. Other conditions including diabetes, a blood clot or even a tumor may also be responsible for peripheral neuropathy. At Back To Health Family Chiropractic, our Board Certified Atlas Orthogonist Dr. Chris Michlin has experience caring for patients with peripheral neuropathy. By following a whole body approach to care, Dr. Michlin works with patients to treat and eliminate peripheral neuropathy without the need for medication. One of the most common causes for peripheral neuropathy pain is pressure on the nerve. A spinal misalignment or another health issues, such as a blood clot or tumor, may cause this pressure. This pressure then creates neurological dysfunction and miscommunication. In fact, this misalignment may be contributing to other health problems throughout your body. That’s why when patients visit our Fort Worth chiropractor complaining of tingling or numbing sensation, Dr. Michlin will conduct a comprehensive diagnostic screening to evaluate all aspects of a patient’s health. Peripheral neuropathy can be triggered by a variety of causes. A car accident injury, a sports injury or a repetitive motion injury may cause trauma to the nerve. Peripheral neuropathy may also be related to pharmaceuticals, chemotherapy, surgery, or health conditions like diabetes or an autoimmune disease. 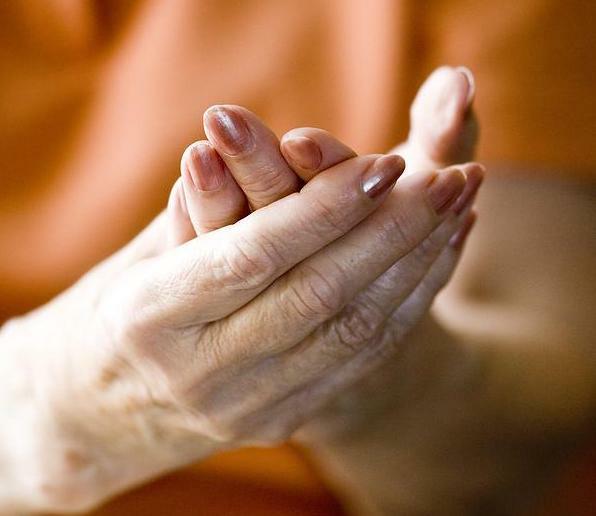 If you are experiencing a burning, numbing or tingling sensation in your hands or feet, do not assume this condition will simply “go away” without treatment. While medical doctors may opt to rely on medication to numb these sensations, Dr. Michlin focuses on treating the root cause for your pain. This approach to pain relief and elimination, rather than simple pain management, is effective for post-surgical neuropathy, post-radiation neuropathy and post-chemotherapy neuropathy, in addition to other peripheral neuropathy conditions. An atlas orthogonal adjustment is a specialized chiropractic adjustment that works at the junction of where brain and body meet. By working at top of spinal cord, this adjustment relieves pressure on the nervous system as it is coming in and out of body and transporting information from the body to the brain and vice versa. Our Fort Worth chiropractor Dr. Michlin is the only Board Certified Atlas Orthogonal Chiropractor in North Texas. Dr. Michlin integrates Atlas Orthogonal adjustments into comprehensive treatment plans in order to alleviate and eliminate your pain once and for all! Our Fort Worth chiropractor Dr. Michlin and his wife Nancy Michlin, a Certified Health Coach, provide patients with service that goes beyond just a simple chiropractic adjustment. We give patients a whole body health adjustment! Don’t let peripheral neuropathy and nerve pain stop you from living an active life. Call 817.810.9111 to schedule your appointment today!